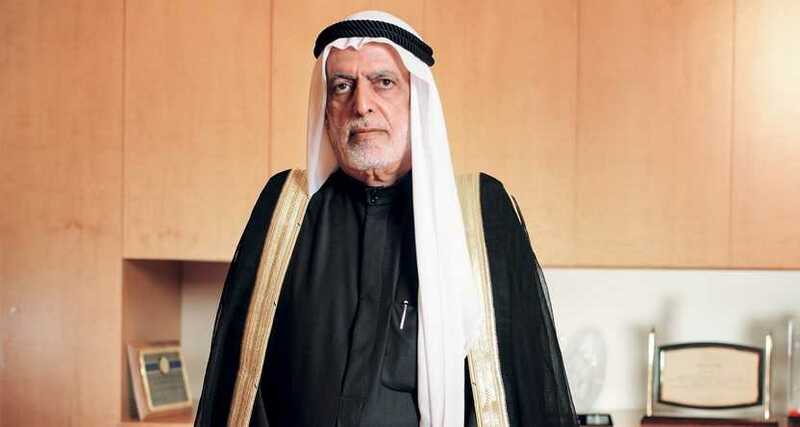 In a rare interview, Abdulla bin Ahmad Al Ghurair, the 88-year-old patriarch of one of Dubai’s storied merchant families recently agreed to talk to Forbes Middle East to reminisce about his journey from fish monger to richest man in the U.A.E., with a net worth Forbes estimates at $5.9 billion. His entrepreneurial legacy is quite visible in his hometown of Dubai. 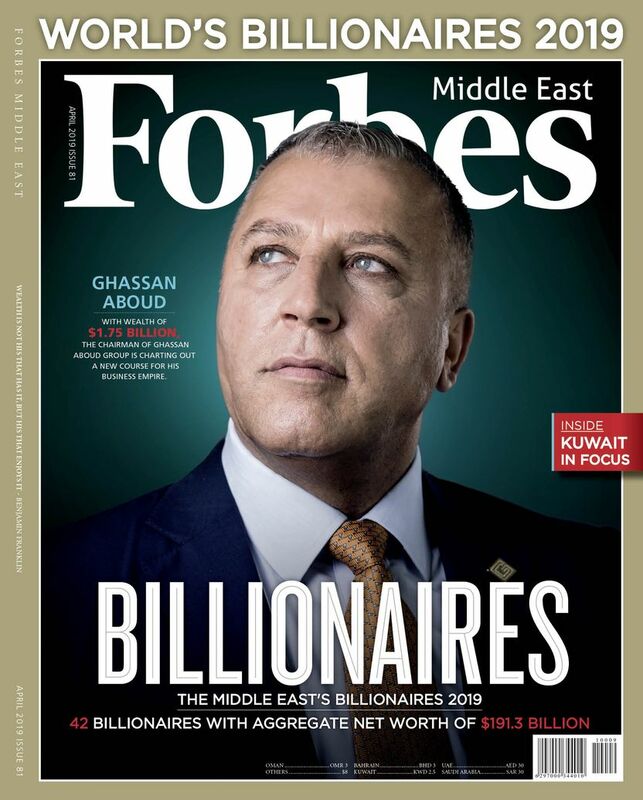 He helped found Mashreqbank, the oldest private bank in the U.A.E., his Al Ghurair Centre is one of the first shopping malls in the Middle East, and his construction company had a hand in building Burj Khalifa, the world’s tallest building. Al Ghurair is now intent on making an even longer lasting impact in his country and the wider Arab world. He’s turned his attention to his educational foundation, one of the biggest in the world. In 2015, he pledged one-third of his holding company’s assets, or $1.1 billion over 10 years, to create scholarships and educational programs for college students in the U.A.E. and Arab countries. “To me, education is the true enabler of Arab youth and the backbone for their social and economic development,” says Al Ghurair. His foundation addresses one of the greatest challenges facing the Arab world: access to quality education. UNICEF estimates nearly 22 million children are either out of school or at risk of dropping out in the Middle East and North Africa, largely due to conflict. Affording higher education is another problem, and a high rate of youth unemployment is another significant issue still. Under the leadership of Maysa Jalbout, Al Ghurair’s foundation has awarded so far 787 scholarships to underprivileged students from 22 Arab countries; 17% of recipients live in conflict zones or are refugees. Jalbout won’t reveal how much the foundation has spent so far on scholarships, only that the amount is in the millions of dollars. Seven students have already completed their degrees—early returns on Al Ghurair’s greatest investment. One scholarship went to Laith Mubaslat, a 23-year-old Jordanian pursuing a master’s degree in electrical engineering at Canada’s McGill University. He wants to work in energy or transportation, and is currently interning with Airbus. Without financial aid, he says he probably would have postponed his studies for several years. 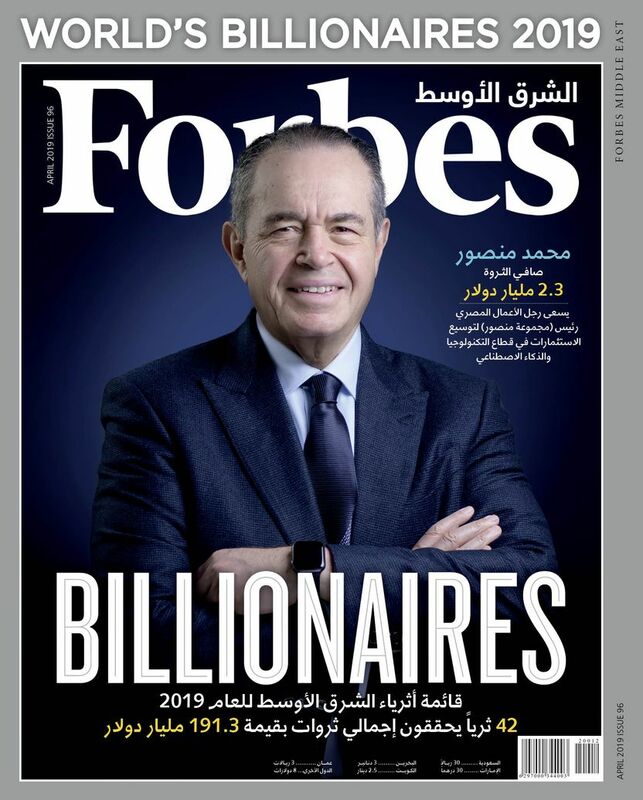 Jalbout, who previously was the CEO of the Queen Rania Foundation for Education and Development, hopes to assist 15,000 students by 2025. “The program is unique in that it sends students mostly to regional universities, encouraging intra-regional student mobility, and also giving a boost to local institutions, many of whom are struggling to grow and diversify their sources of revenues while attracting the best qualified students,” says Sally Jeffery, who leads PricewaterhouseCoopers’ Middle East education consulting practice. The foundation is the culmination of decades of philanthropy devoted to education. In the 1960s, Al Ghurair built a small primary school in Masafi, a rural town in the northern U.A.E. The school still stands today, a squat white building ringed by palm trees. “The impact that he saw directly at this small school in Masafi inspired him to support school children not just in the U.A.E. but also in the region and beyond,” says Jalbout. One of her first meetings with Al Ghurair took place at the Masafi school, where they toured the grounds together and he recounted stories about the students. Al Ghurair, the billionaire businessman, only completed primary school. He was born the fourth child in a family of nine. His father Ahmed Al Ghurair owned boats for pearl diving. The pearl trade with India thrived in the 19th and early 20th centuries, anchoring Dubai’s economy. Still, it was poor. The Al Ghurair family lived in a mud hut in Dubai, and spent the hot, humid summers in tents. They ran their drinking water through mesh, to filter out the worms infesting the water supply. Al Ghurair remembers his mother, Maryam Saif, carrying a weapon around for protection. Al Ghurair’s older brother Saif was first to enter the family business. At age 6, he remembers watching Saif, then barely a teenager, sail away, sometimes for months at sea. By the time Al Ghurair came of age, cheaper Japanese cultured pearls had decimated Dubai’s trade. The family pivoted. Refitting their boats for longer voyages and heavier loads, the Al Ghurairs hauled dates from Iraq to Africa and India, and brought back textiles and teak logs for boat building. Al Ghurair developed a knack for business. He bought fish in bulk from Jumeirah, a fishing town, and sold it to the crew of Dutch merchant vessels that anchored at Dubai Creek. He also travelled to Oman to sell sardines to ships sailing the busy Straits of Hormuz. By age 16, Al Ghurair had amassed a tidy sum, and began buying property. For 500 rupees, he bought his first parcel of land in Dubai. His father initially reprimanded him, figuring his son didn’t know what he was doing, but after seeing the purchase, he was impressed. The praise inspired Al Ghurair to buy more real estate—later worth millions of dollars. He also started a family, marrying at 18, and ultimately raising 29 children. In 1960, Ahmad Al Ghurair established a holding company, which had interests in manufacturing and real estate. Al Ghurair and Saif, along with their younger brothers Majid, Marwan and Gomaa, managed different parts of the business, with Abdulla overseeing the group’s properties. The brothers made their mark in 1967 when they founded what was then Bank of Oman (renamed Mashreqbank in 1993). It was good timing. Dubai began exporting oil in 1969, paving the way for an economic boom, and in 1971 it joined neighboring emirates to form the U.A.E. Flush with new oil wealth, the new nation built its infrastructure and commerce, with financing from the Al Ghurair bank helping drive economic growth. Al Ghurair, who was then president of the bank, remembers visiting New York in the 1970s, where he met with David Rockefeller, who headed Chase Manhattan Bank. Mashreqbank became the cornerstone of the family’s wealth. Al Ghurair, who still serves as chairman, holds a 31% stake, worth recently $1.15 billion. His son Abdul Aziz is CEO. With the backing of the ruling Al Maktoum family, the Al Ghurairs were also able to establish other businesses that benefited from the boom. They formed publicly-traded National Cement Co. in 1968, and in 1976 founded National Flour Mills—firsts in the country. “Whether it was the flour mill, the printing press or the cement factory that he established, his businesses were both relevant to the times they were established and sustainable,” says Abdul Aziz Al Ghurair. By the 1990s, Al Ghurair was the largest private landowner in Dubai, but had to sell chunks of property in prime locations to the government for development. At the time, Al Ghurair and Saif, also a billionaire, decided to split the group, for reasons he won’t comment on. Abdulla Al Ghurair took the food and construction businesses, as well as some properties, including Al Ghurair Centre—all under a newly-created eponymous holding company. The 63-year-old Abdul Aziz, one of the most prominent businessmen in the U.A.E. and the former head of the country’s national assembly, inherited the mantle of chairman. While other sons oversee divisions, the conglomerate’s CEO has been a non-family member. With the right stewardship at the group, the foundation’s coffers can grow, and education could prove to be Al Ghurair’s greatest legacy. “Providing access to quality education impacts the individual as well as their family and community,” he says.